Kenneth Arnold Chesney, commonly known as Kenny Chesney, is a famous American musician, singer, as well as a songwriter. Kenny Chesney debuted in the music industry in 1991 with the release of his first studio album called “In My Wildest Dreams”. In addition to selling over 10 000 copies, the album produced two songs that made it to the Billboard charts and introduced Chesney to the country music scene. Throughout his career, Kenny Chesney has released 15 studio albums, most of which received either Gold or Platinum certifications from the RIAA. Chesney’s most recent album is called “The Big Revival”, which is scheduled to be released by the end of September in 2014. The album contains a single “American Kids”, which topped Canadian Billboard charts, peaked at #1 on the US Billboard Country Airplay chart, and has currently sold more than 803 000 copies worldwide. Even though Kenny Chesney is mostly known as a solo singer, he is also recognized for his many collaborations. During the years, Chesney has worked with such musicians as Jimmy Buffett, Tim McGraw, “Rascal Flatts”, Reba McEntire and many other artists. A famous country singer, how rich is Kenny Chesney? In 2011, Kenny Chesney’s annual salary amounted to $44 million, while in 2013 it grew to $53 million. That same year Chesney collected more than $32 million from the record sales, as well as tour ticket sales. In regards to his total wealth, Kenny Chesney’s net worth is estimated to be $100 million. Undoubtedly, most of Kenny Chesney’s wealth and net worth comes from his singing career. Kenny Chesney was born in 1968, in Knoxville, Tennessee, where he spent the majority of his childhood. In Tennessee, Chesney studied at the Gibbs High School and then went on to graduate from East Tennessee State University. Chesney’s passion for music inspired him to release a demo album while he was still a student at East Tennessee State. The album sold more than 1 000 copies and helped Chesney invest in a new guitar. 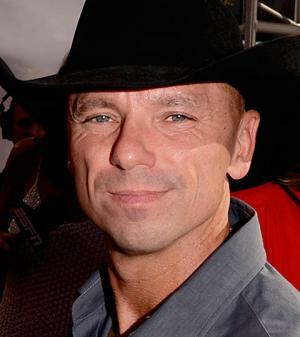 In 1993, Kenny Chesney received a record deal with “Capricorn Records” and a year later came out with his debut studio album “In My Wildest Dreams”. Chesney’s major success came in 1999 when he released his fifth studio work under the name of “Everywhere We Go”. The album not only spawned four singles but also sold more than 2 million records worldwide, which turned out to be Chesney’s first album to receive a double Platinum certification from the RIAA. Following the success of his fifth studio album, Chesney came out with “No Shoes, No Shirt, No Problems”, which became an even bigger hit than its predecessor. The album produced five singles that were featured on the Billboard charts and sold more than 4 million copies in the United States alone, resulting in a four-time Platinum certification. Kenny Chesney kept releasing commercially successful albums and is currently considered to be among the best and most popular country singers in the world. Kenny Chesney’s net worth is estimated to be $100 million.